Applying the proper amount of clamp load to a rod bolt is perhaps the most crucial operation in assembling an engine. Too much or too little torque can lead to engine failure. Measuring bolt stretch provides a 100-percent reliable method of getting the correct clamping load. 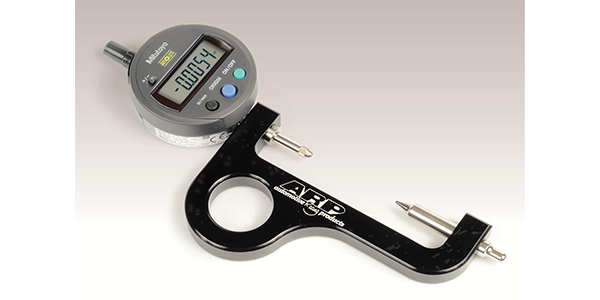 Fastener manufacturer ARP has taken accuracy to the next level with the introduction of a digital stretch gauge that measures to the ten-thousandth (0.0001″). comes in a handy carrying case and is an important addition to any engine builder’s toolbox.